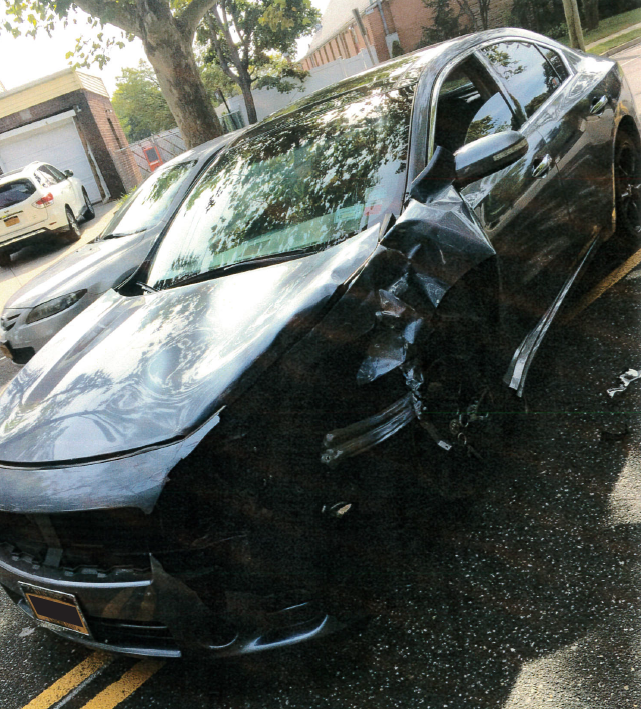 On September 21, 2016, Tevin was driving straight on Elmont Road when another vehicle made an abrupt left turn from Elmont Road to Stuart Avenue (in an apparent attempt to “beat” Tevin) and struck Tevin’s car on the driver’s side (t-bone collision). Tevin’s car spun out of control and ended up hitting the curb. Tevin hit his head in the car, but denied loss of consciousness. Soon after the accident, Tevin was taken to Long Island Jewish Medical Center where x-rays of his pelvis, chest, and right knee were taken. As a result of the accident, Tevin suffered with pain to his neck and lower back that made normal daily activities (such as bending and lifting) a difficult undertaking. The doctor diagnosed him with a cervical spine strain/sprain and lumber spine strain/sprain. Tevin attended physical therapy for a year to help reduce pain and improve his range of motion. For years Tevin’s father listened to Adam on Irie Jam Radio. 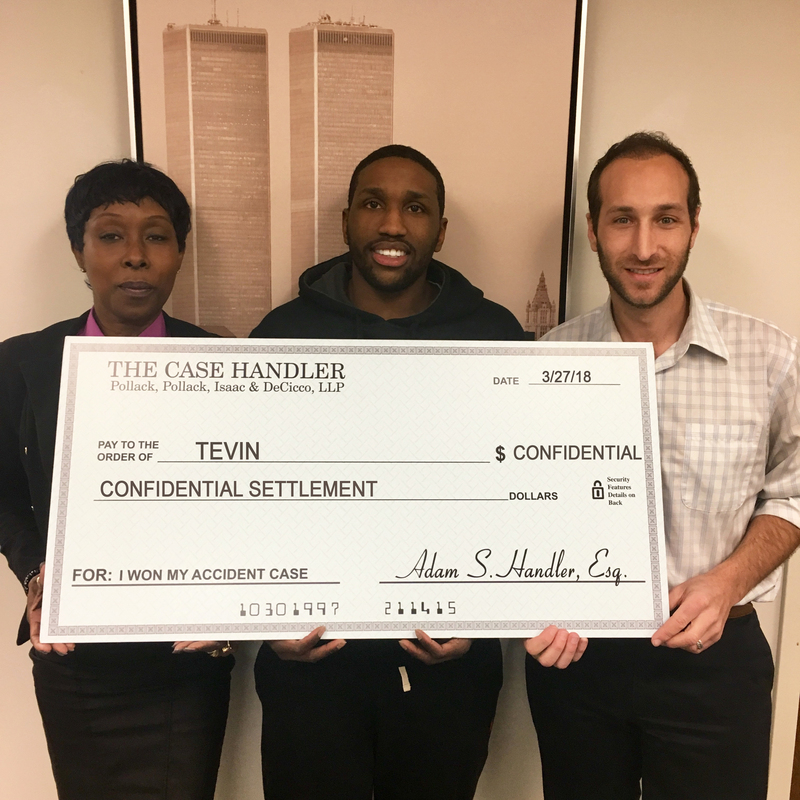 After the accident, Tevin’s father told him to call The Case Handler team right away! With the help of our skilled Town of Hempstead car accident lawyers at Pollack, Pollack, Isaac & DeCicco, LLP, our team monitored his treatment and medical costs to keep his bills as low as possible (which we do for all clients) and we negotiated with the Defendant’s insurance company, State Farm, to win Tevin a just settlement award!